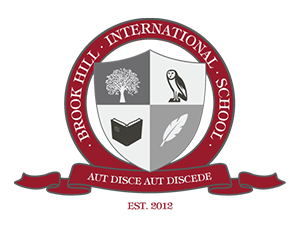 Brook Hill international school has been our long term client for many ears. We started working for them back in 2012 when we were in charge of creating their brand identity and have provided our service for them ever since. Brook Hill International provides educational programme based on Cambridge International Education and Examination framework and covering all ages form preschool to primary and secondary education. Their students are usually children of foreign citizens that live and work in Serbia. It was a huge challenge to think out and create brand identity for one educational institution. With excellent mutual communication and the client's clear wishes we reached the desired effect and created logo design and complete printed solutions required for an institution to function in a business environment in very short notice. Being careful about their brand we provided them with branded folders and letterheads. With careful planning and detailed analysis we succeeded in adapting their content in such a way that every user could easily find information they needed. We carefully combined visual effects so that parents could get concise and understandable info. Brook Hill School showed confidence in our work and through mutual pleasure we continued cooperating through all of their projects. In accordance to that they asked us to design billboards in order to promote their school curriculums. Advertising material is essential for educational institution of this type so we got in charge of providing them with such material also. We provided them with branded pens, notebooks etc. Brook hill school is actively involved in educational fairs so they enriched their presence with promo stands and roll up banners again designed from scratch by our side. We created brochures that represent offline version of their website intended for presentations at educational fairs and with clients.